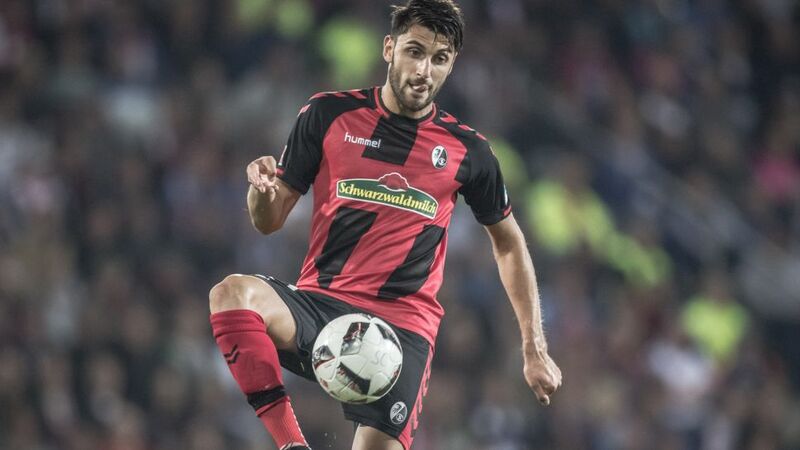 The driving force behind SC Freiburg's 2015/16 Bundesliga 2 title triumph, Vincenzo Grifo continues to pull the Breisgauer strings to great effect in the Bundesliga in 2016/17. Vincenzo Grifo guarantees a steady flow of Official Fantasy Bundesliga points - sign him up now! bundesliga.com: Vincenzo Grifo, how hard has it been for you adapting to the Bundesliga? Vincenzo Grifo: It's faster and obviously the individual quality of players is higher in the Bundesliga, but we've been fearless. We respect the opposition, but on the pitch our only goal is to win. bundesliga.com: What, above all, makes SC Freiburg stand out? Grifo: We're a unit, disciplined - we stick together and never give up. You can see that on the pitch. Everyone runs for each other. We're a team that can dust ourselves down and come back, and we've become more solid at the back. We're also particularly good in attack. We've shown in the last few games that we can score goals. bundesliga.com: Last season you registered 14 goals and 14 assists, and it looks like you're on the right path again with one goal and for assists after six matches. Do you feel like you're playing better than ever before? Grifo: I'm really happy with how it's going for me and for the team. I'm feel great and I'm in top shape because I made the most out of preseason to make sure I was ready. I already know everyone at Freiburg well from last season. That makes everything that little bit easier. I've also got some new goals. "I spend a lot of time on set-pieces. I try to improve every day." bundesliga.com: What are those goals you speak of? Grifo: I want to establish myself in the Bundesliga and to mature, but I haven't set any objectives in the goals or assists department. I just get on with it and will see what comes at the end of the season. bundesliga.com: You've travelled around a fair bit already, playing for Karlsruher SC, Hoffenheim, SG Dynamo Dresden and FSV Frankfurt - in most cases for only a season. Is Freiburg now somewhere you'd like to stay for a few years? Grifo: Like I said, I feel really happy in Freiburg. My family, who've always supported me, live not too far from here, in Pforzheim. I'm really happy with what's on offer to me here. SC is a very close-knit club. The people here stick together. The area's decent, the city is great, the people are very friendly and support the team through good and bad times. That makes me feel good and makes it easier to play with the shackles off. Like every human being, I also have goals. Maybe one day I can play at an even higher level - the Champions League would be a dream, but at the moment Freiburg ticks all the boxes.